As Vicia has been named St. Louis’ best restaurant and one of the top restaurants in the country, this edible landscape is very much a Chef’s Garden. The foodscape is anchored by unique fruit trees, shrubs and a groundcover of alpine strawberries. 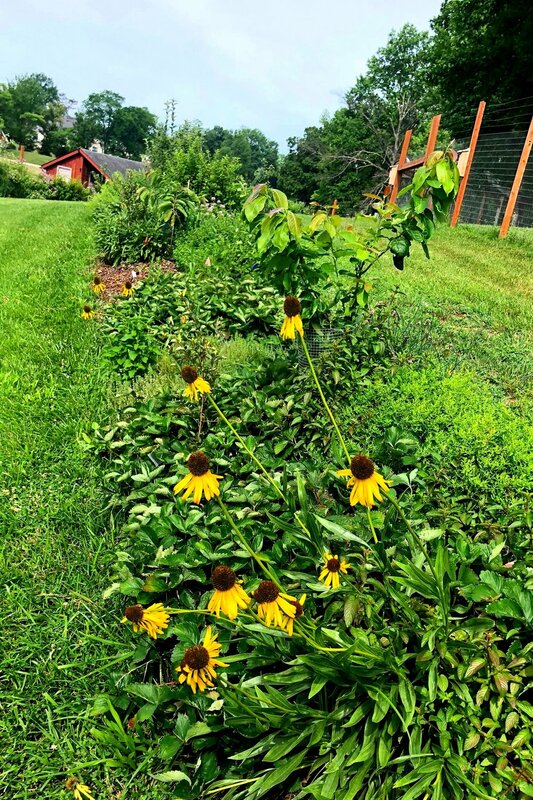 A huge diversity of colorful herbs and edible flowers invite the Vicia staff to pick the most unique and fresh ingredients for their world-class menu. Reclaimed St. Louis brick serves as the walkway for Vicia staff to move effortlessly through the space. Check out Vicia’s Instagram Stories for some behind-the-scenes highlights of our installation. 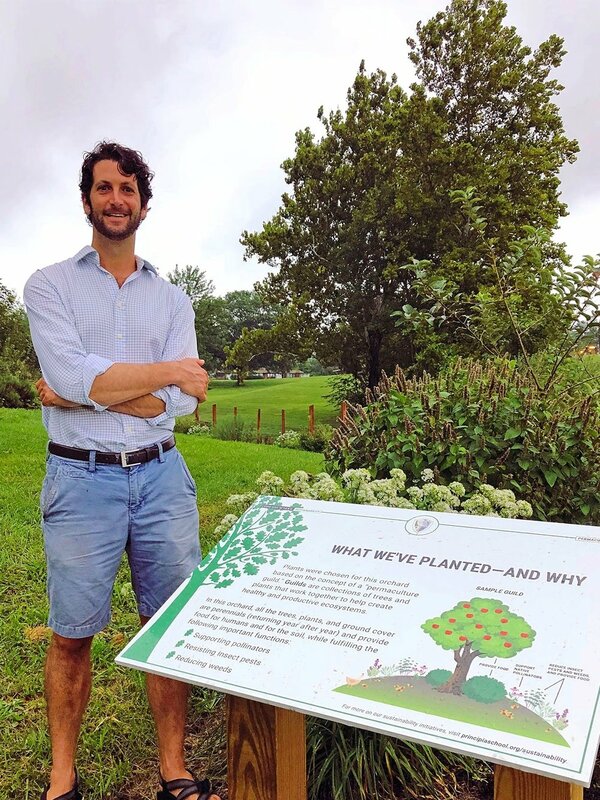 Working closely with the high school science teachers, Custom Foodscaping helped turn this grassy hillside into an explosion of edible plants and native flowers. To manage water on this sloping landscape, contour berms and swales were use to slow water and sink it into the ground. 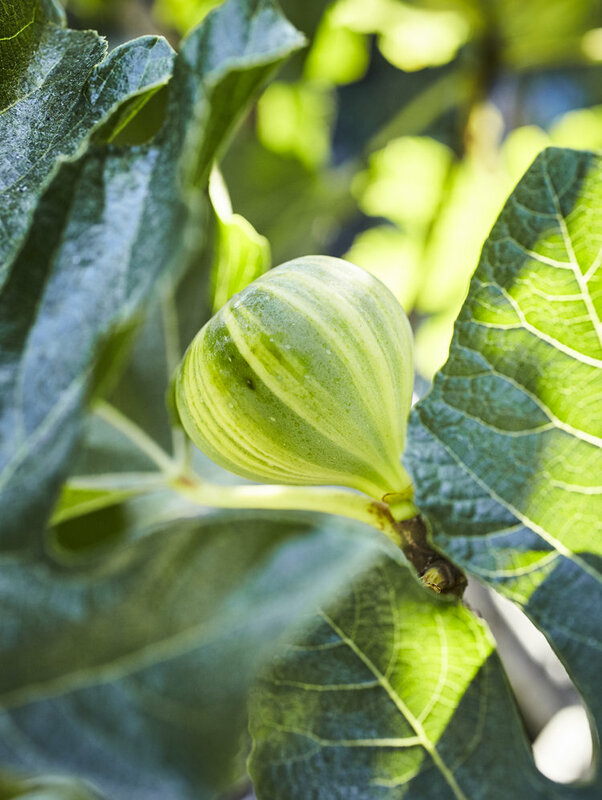 A food forest was planted on the berms with a tremendous diversity of native flowers, herbs and fruit trees, all of which produce in the spring and fall while students are in school. 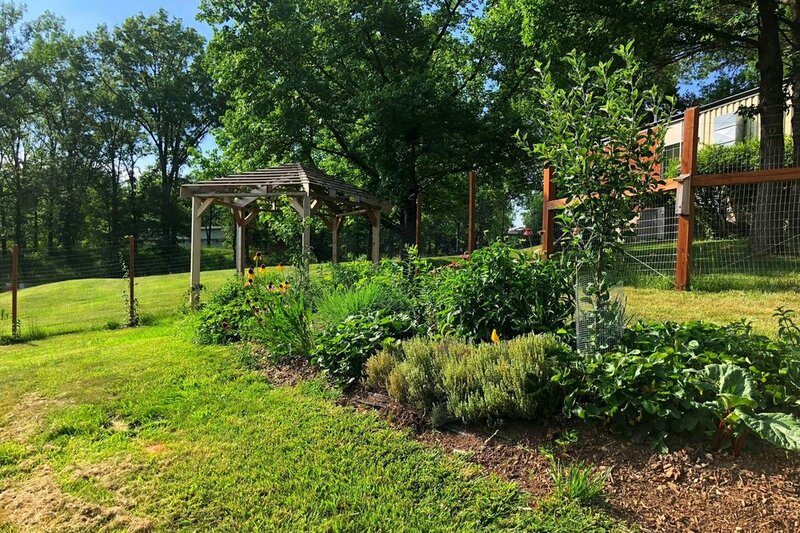 Students K-12 can now utilize the permaculture orchard to make herbal tea, study native pollinators, hold class under the pergola, and harvest loads fruit. For this partly shady backyard, CF emphasized native shrubs and groundcovers that are commonly foraged in the wild areas of Missouri. 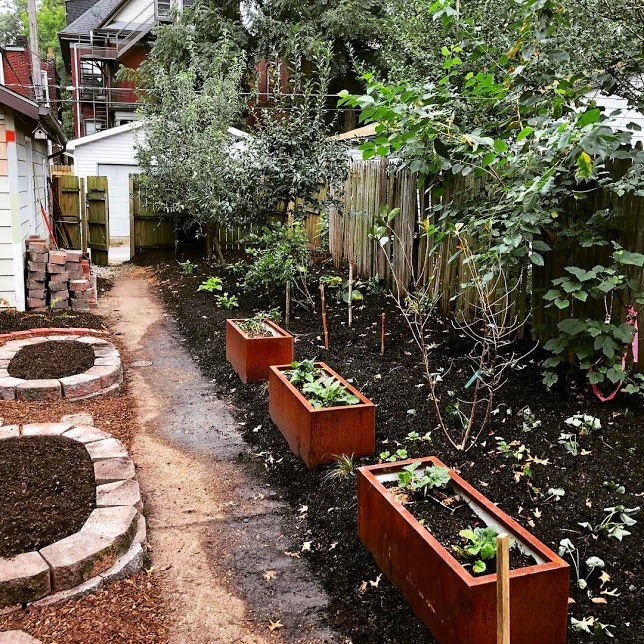 The sunnier main corridor of the yard features raised garden beds for incorporating vegetables into this backyard landscape. A live edge bench and trellis invite the homeowners into the landscape while serving as a screen to the carport. 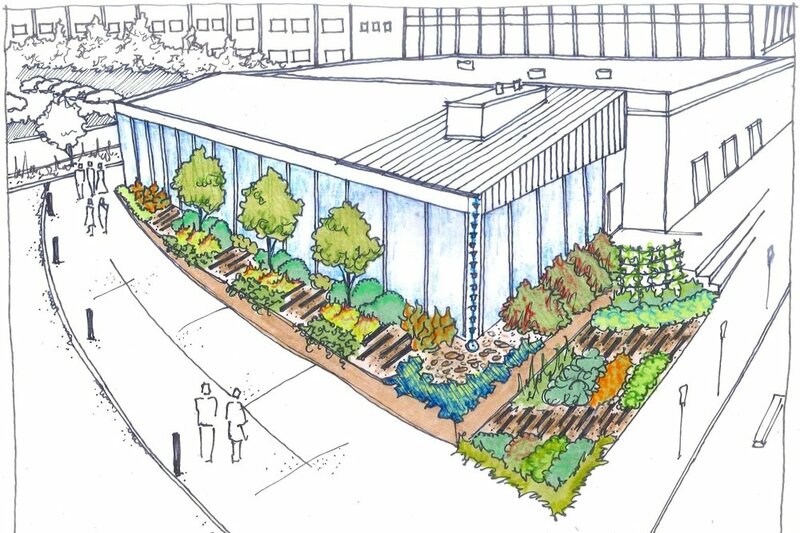 This urban food forest features meandering pathways, a rain garden and a myriad of perennial edibles. 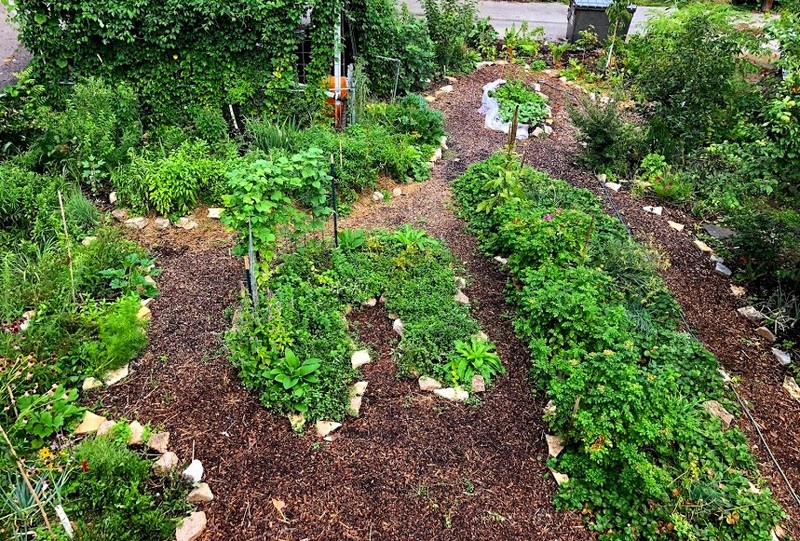 Fruit trees like pawpaws, figs, hybrid persimmons and Asian pears occupy the top layer of this yard, while multipurpose flowers, herbs, and groundcovers fill in to take advantage of all the sunlight this site has to offer. Each year this food forest will become more and productive while requiring less and less work to maintain.